Have you seen these wonderful stamps by Rubber Dance? The background stamp is from Weed Love. It is a huge set with many wonderful images for background greenery. Bibi made these from actual plant prints. 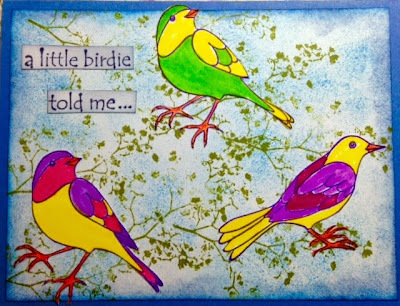 The birds are a collaboration between Bibi at Rubber Dance and Jana at The Tangled Pen. The birds are stamped in purple Archival Ink and colored with a combination of Pitt Pens and Stampin Up Markers. The blue background was sponged Ranger ink. 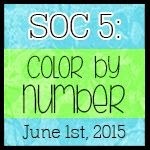 Rubber Dance is having a challenge this month using yellow, hot pink and purple. I'm linking to the challenge. 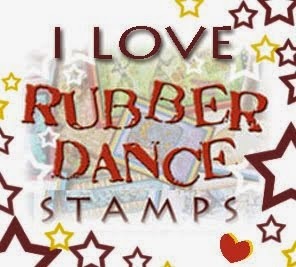 Check it out... you could win some wonderful Rubber Dance stamps. A very uplifting, colorful piece! I am a big birdie fan! Love them on your card! Thanks for joining our challenge over at Rubber Dance! Hugs, Susanne.